Faiz Kermani - Award winning author of funny children's booksChildren's Funny Books | . 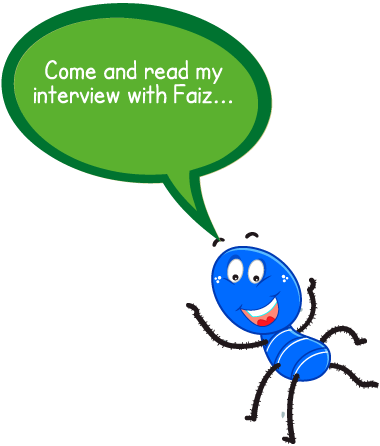 I’m Faiz Kermani and I love to write funny children’s books. Over the years I have been lucky enough to share childrens’ enjoyment in my books by attending schools. I’ve also received some great reviews, awards and media coverage. Recently one of my characters, Golbo the spider, and I met for a coffee and a quick chat. You can read our short interview to find out a bit more about me.